U.S. Homeland Security chief Kirstjen Nielsen testifies before a House committee, where she's expected to be pressed on the Trump administration's family separation policy and declaration of an emergency at the southern border. [email protected]: Democrats just blocked @FoxNews from holding a debate. Good, then I think I'll do the same thing with the Fake News Networks and the Radical Left Democrats in the General Election debates. NBC7 Investigates Documents obtained by NBC 7 Investigates show the U.S. government created a secret database of activists, journalists and social media influencers and in some cases, placed alerts on their passports. [email protected]: Congressman Chris Stewart: "No one is accusing the President of a crime and yet they (the Democrats) are issuing hundreds of subpoenas. This is unprecedented." They are desperately trying to find anything they can, even a punctuation mistake in a document. House intel committee chairman @RepAdamSchiff says Michael Cohen answered all questions from Rs and Dems, and was "fully cooperative" in his closed-door interview with the panel. Says Cohen also provided documents to the committee. [email protected]: American Workforce Policy Advisory Board Meeting at the @WhiteHouse. [email protected]: It is shameful that House Democrats won't take a stronger stand against Anti-Semitism in their conference. Anti-Semitism has fueled atrocities throughout history and it's inconceivable they will not act to condemn it. [email protected]: Senate Republicans are not voting on constitutionality or precedent, they are voting on desperately needed Border Security and the Wall. Our Country is being invaded with Drugs, Human Traffickers, and Criminals of all shapes and sizes. That's what this vote is all about. STAY UNITED. Rubio on MBS: "He's gone full gangster." Sen. Bob Mennandez: The Trump administration's attempt to explain its failure to make a decision on the assassination of Khashoggi was humiliating. The United States trade deficit in goods ballooned to its largest level in history, reaching $891.3 billion in 2018, despite President Trump's repeated promise to reduce that figure. [email protected]: Hans Von Spakovsky, "I haven't seen any evidence of actual violations of the law, which is usually a basis before you start an investigation. Adam Schiff seems to be copying Joseph McCarthy in wanting to open up investigations when they don't have any evidence of wrongdoing." [email protected]: "(Crooked) Hillary Clinton confirms she will not run in 2020, rules out a third bid for White House." Aw-shucks, does that mean I won't get to run against her again She will be sorely missed. The White House has rebuffed a request from the House Oversight Committee for documents related to its security-clearance decisions, offering instead to brief lawmakers on the "process." Cummings says he is consulting with committee on "next steps." [email protected]: Scott Gottlieb, who has done an absolutely terrific job as Commissioner of the FDA, plans to leave government service sometime next month..
[email protected]: ..Scott has helped us to lower drug prices, get a record number of generic drugs approved and onto the market, and so many other things. He and his talents will be greatly missed. [email protected]: Just a few moments ago, I signed an EO addressing one of our nation's most heartbreaking tragedies: VETERANS SUICIDE. To every Veteran—I want you to know that you have an entire nation of more than 300 million people behind you. You will NEVER be forgotten. [email protected]: Our great First Lady (@FLOTUS) will be doing a LIVE show TODAY at 1:00 PM PT with the terrific @EricBolling at the @WestgateVegas Resort. She's on her BeBest Tour, helping address the OpioidCrisis. Free admission for the first 1,500 people. 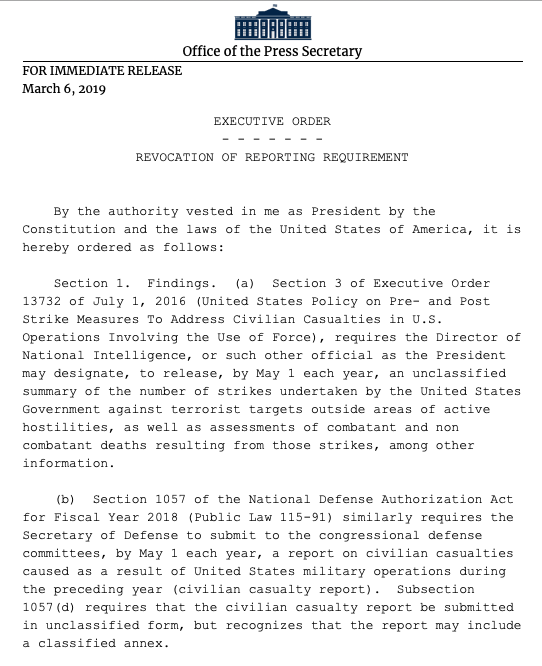 2 months after declaring all US troops are leaving Syria, President Trump wrote to members of Congress that he agrees "100%" with keeping a military presence in Syria. Trump's longtime friend and billionaire inaugural chair Tom Barrack "will fully cooperate with the House Judiciary Committee's important work as he has with all government inquiries," his spokesman confirms to @schwartzbCNBC. 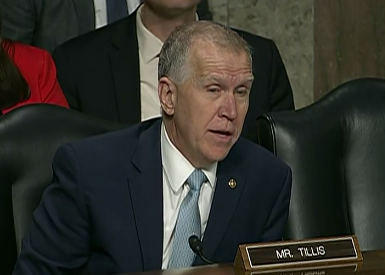 "Turkey is a vitally important @NATO partner" per SASC's @SenThomTillis "But I do not understand under any circumstances why on earth they would be considering purchasing a missile defense system [from Russia] that would not be interoperable." 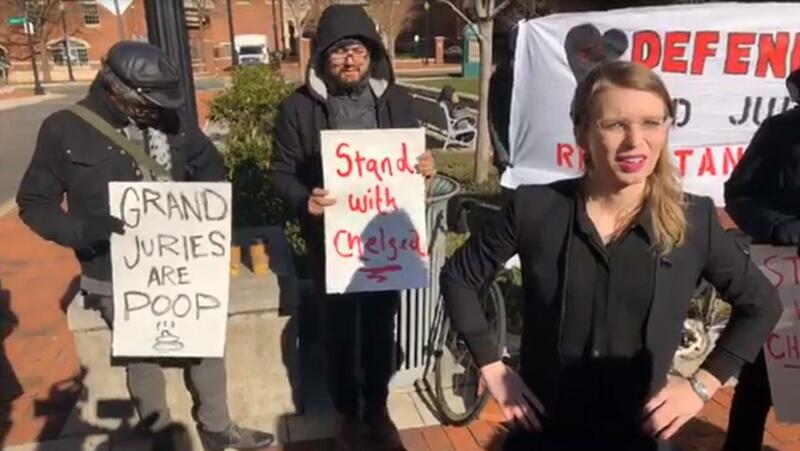 A federal judge has denied Chelsea Manning's effort to avoid testifying before a grand jury in the case of Wikileaks founder Julian Assange. Scaparotti asked what the US is doing to prevent Russia from introducing more intermediate-range missiles after INF collapse: "I don't know that we have a plan today."